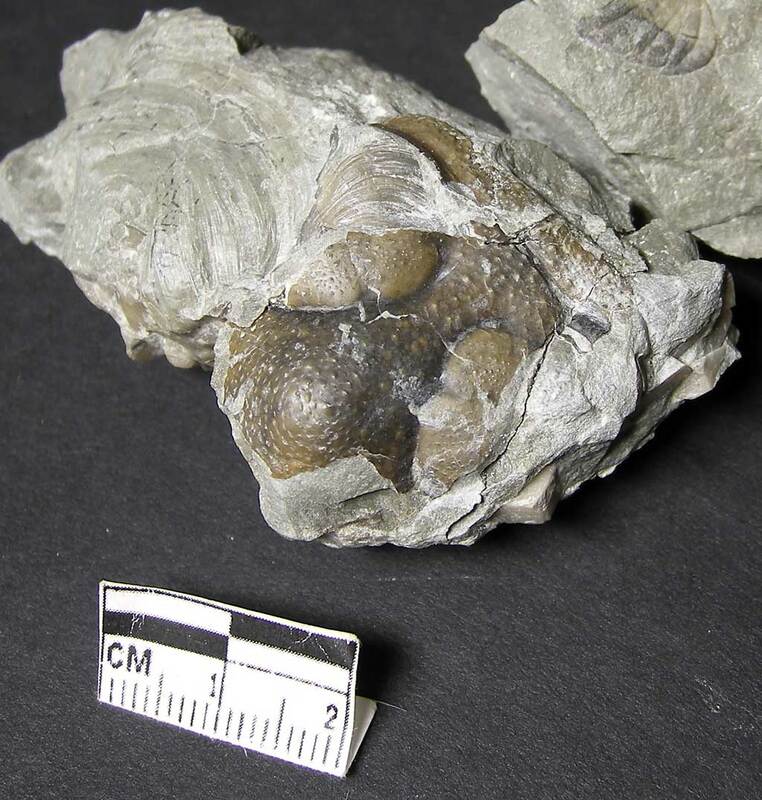 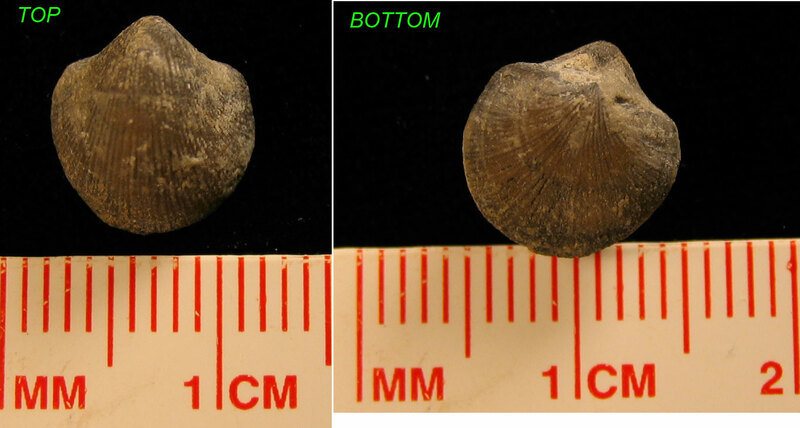 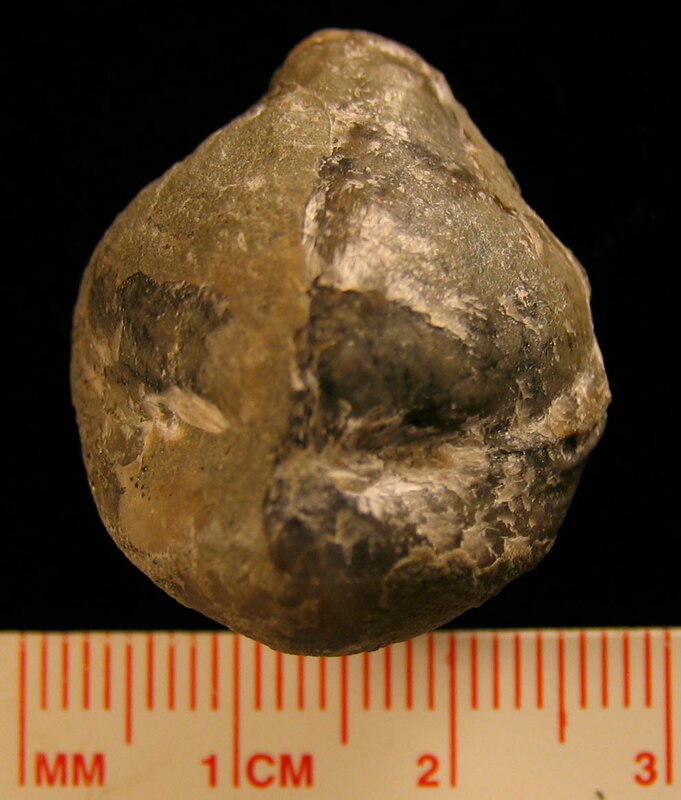 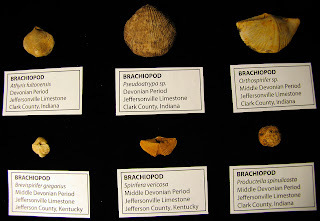 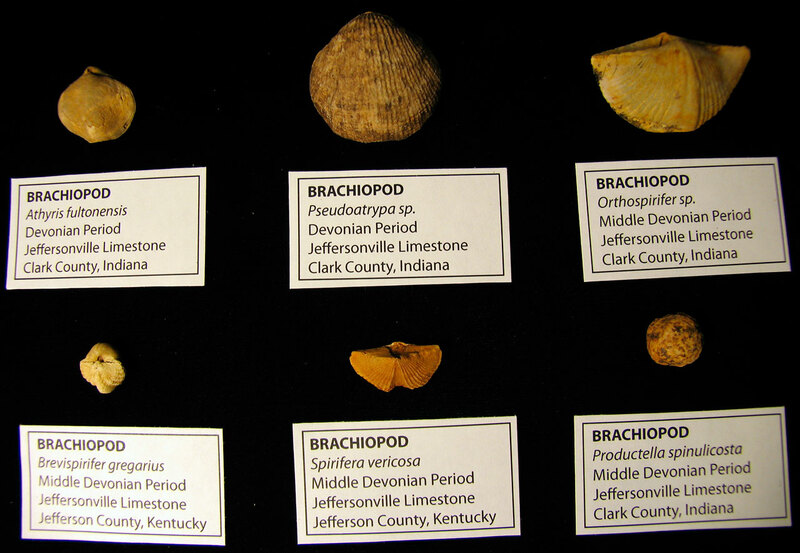 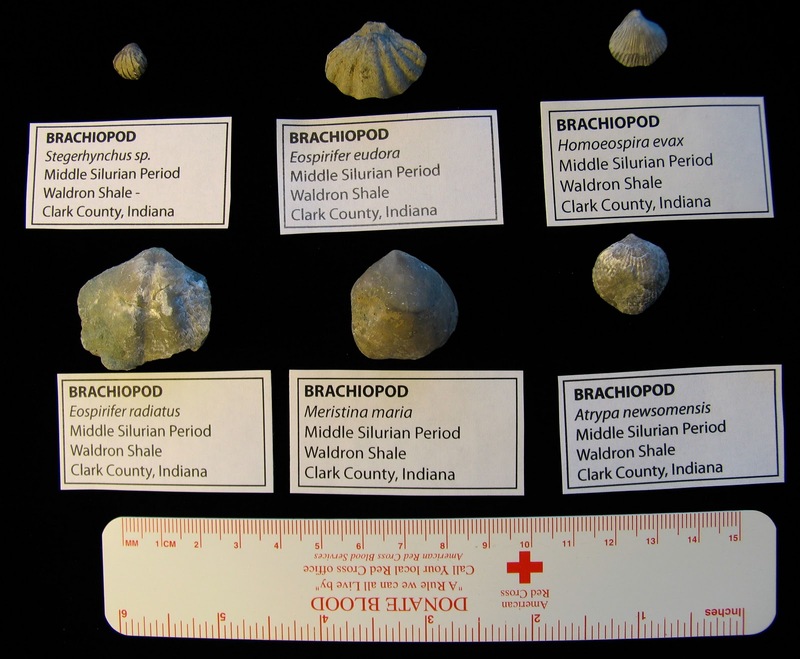 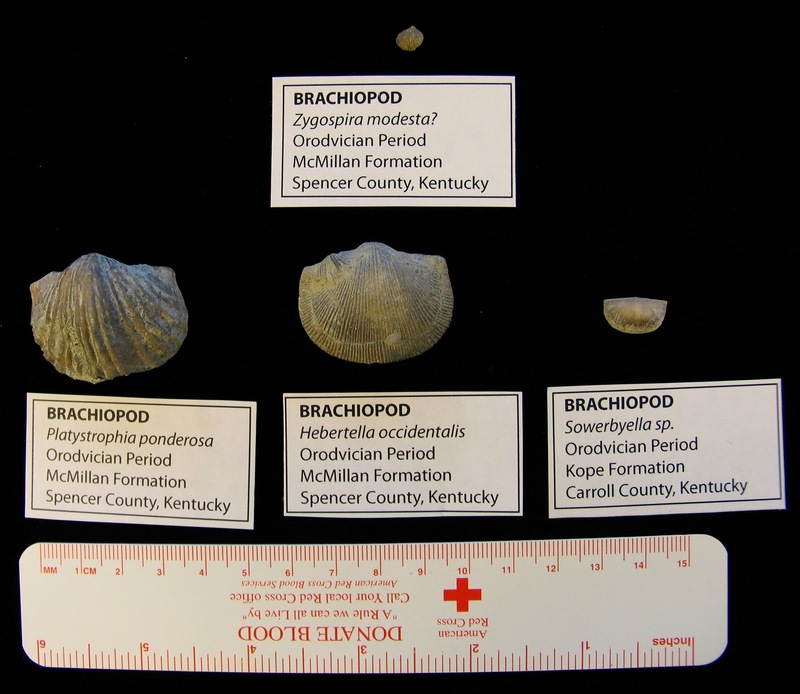 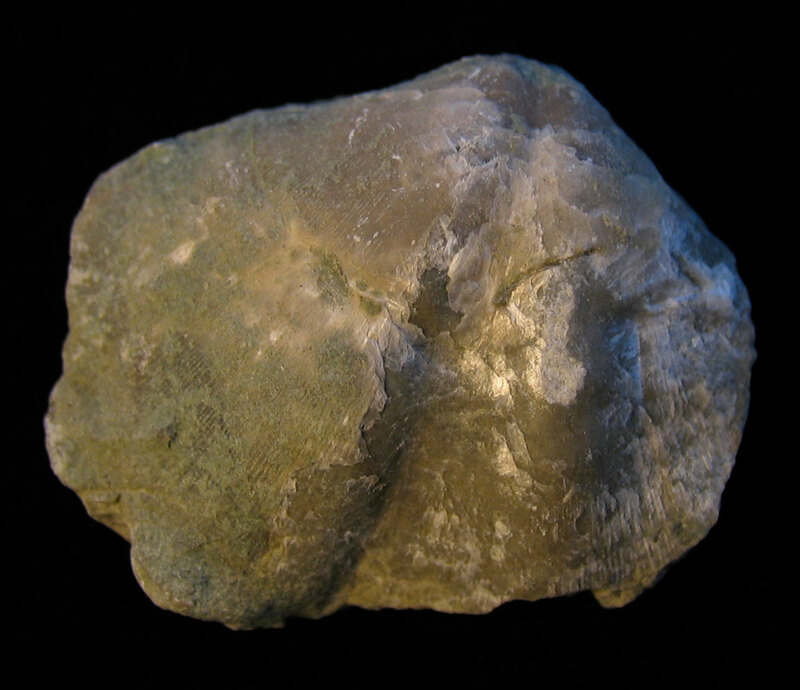 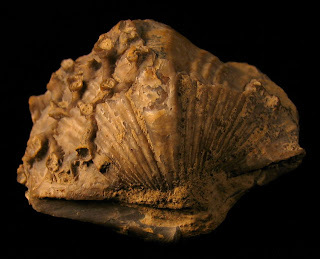 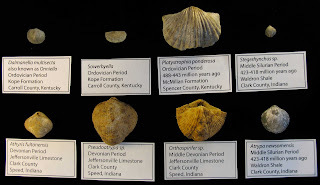 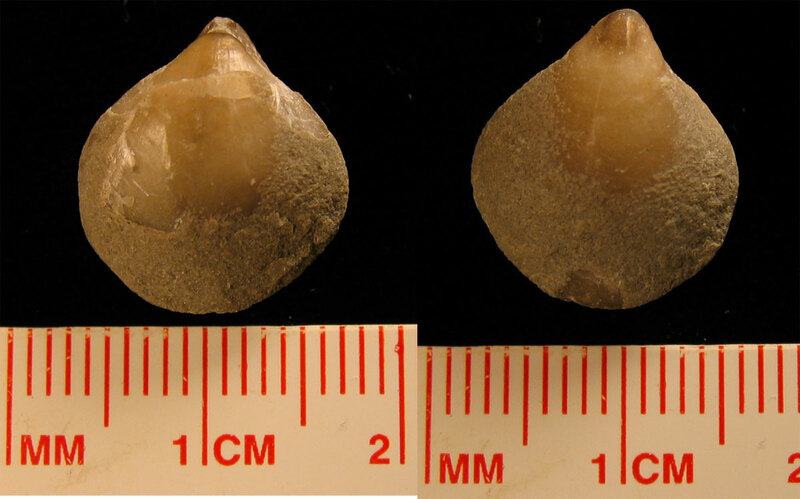 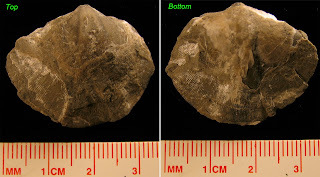 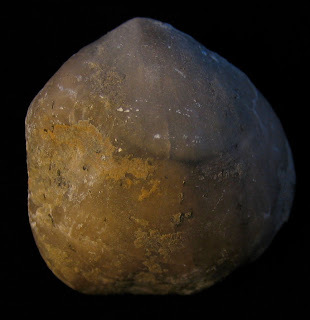 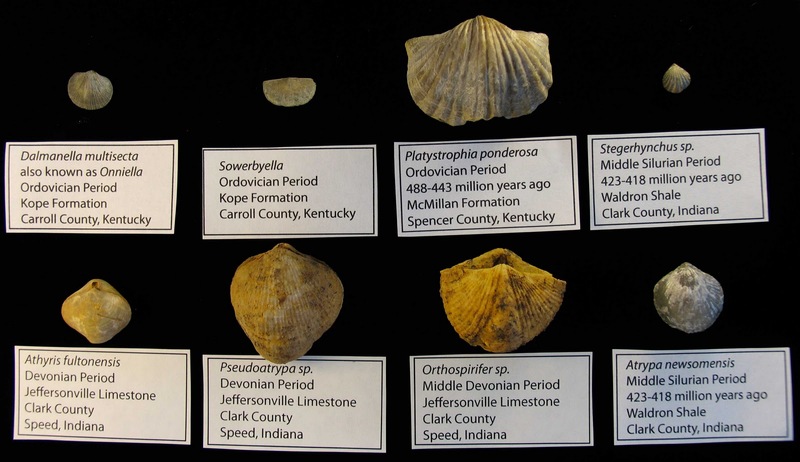 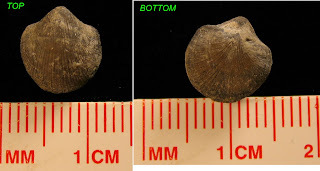 The image shows a collection of six brachiopods found in the Jeffersonville Limestone of Clark County, Indiana. 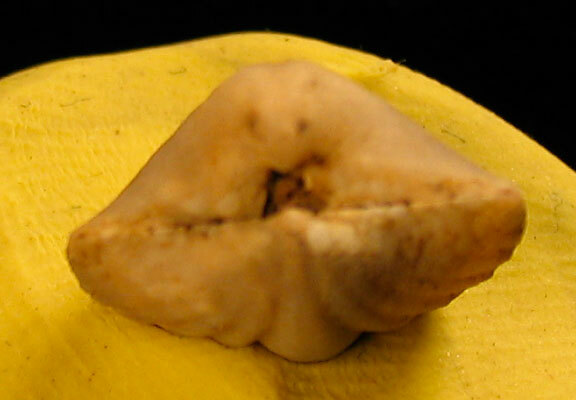 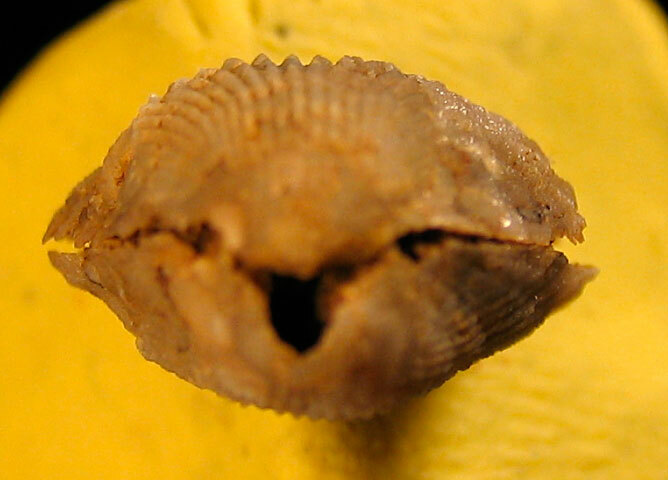 The Athyris fultonensis, Pseudoatrypa, Orthospirifer, and Spirifera vericosa are relatively common. 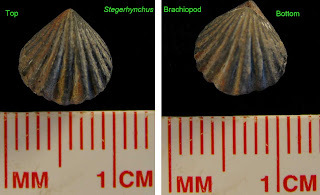 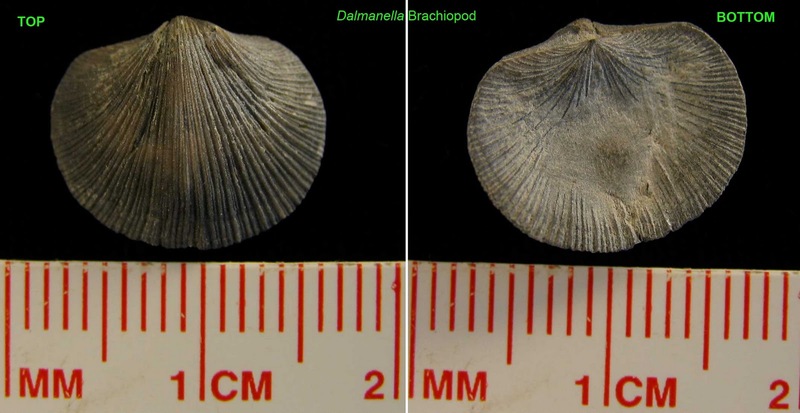 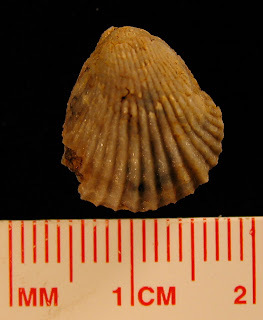 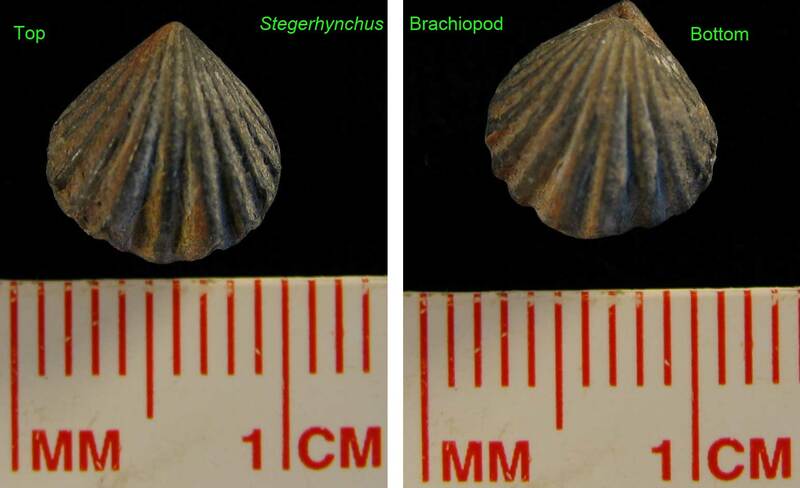 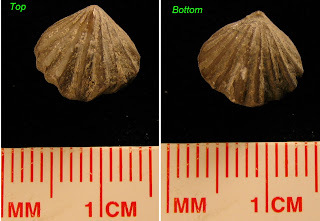 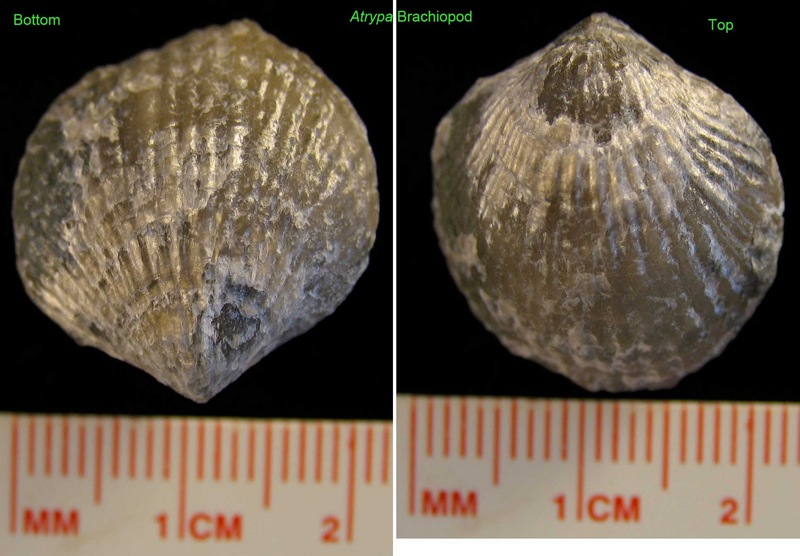 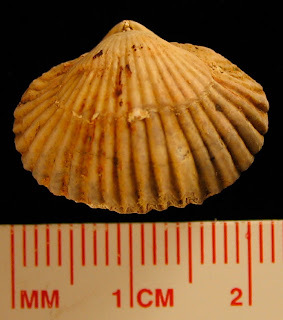 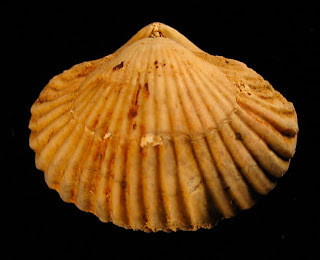 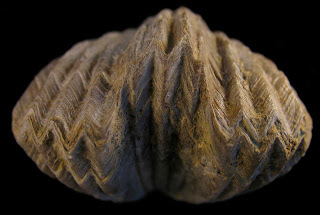 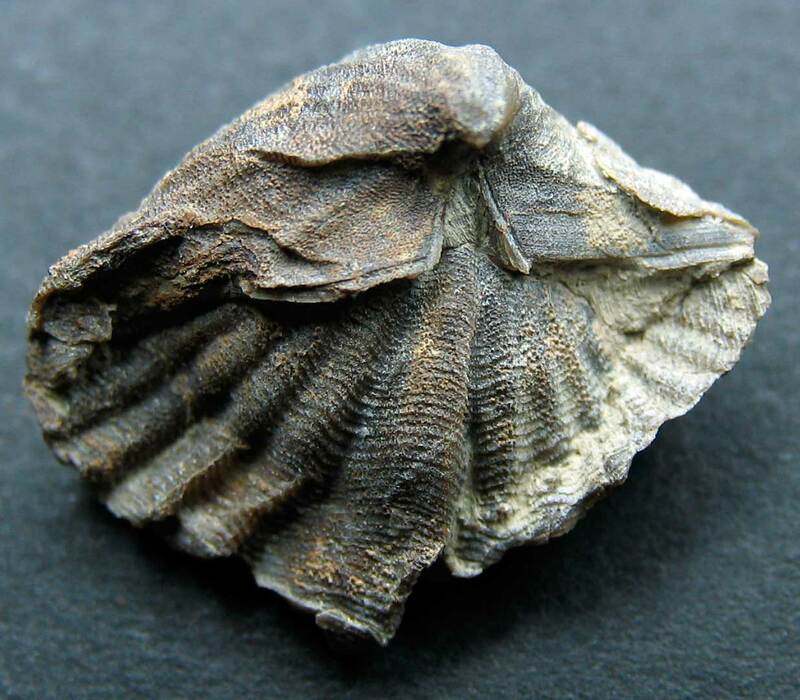 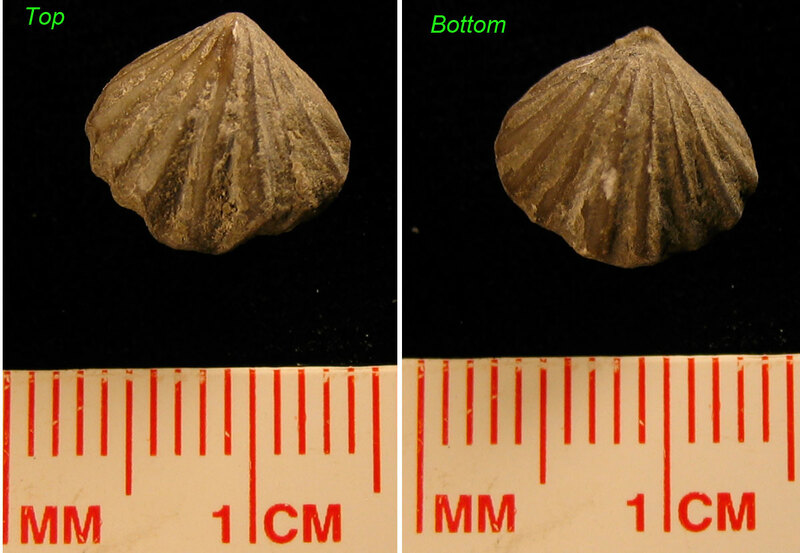 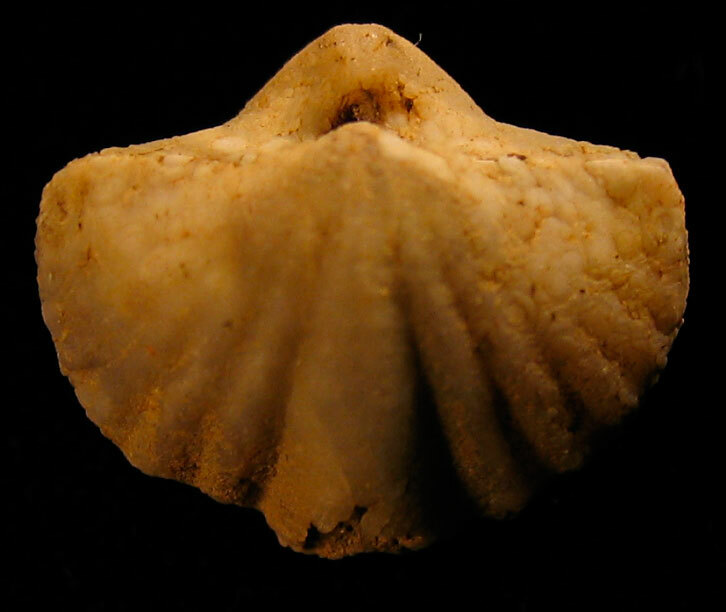 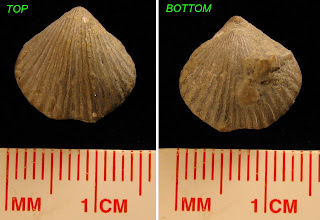 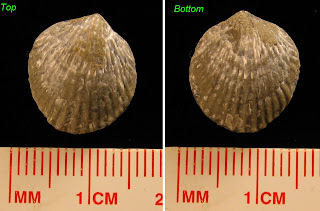 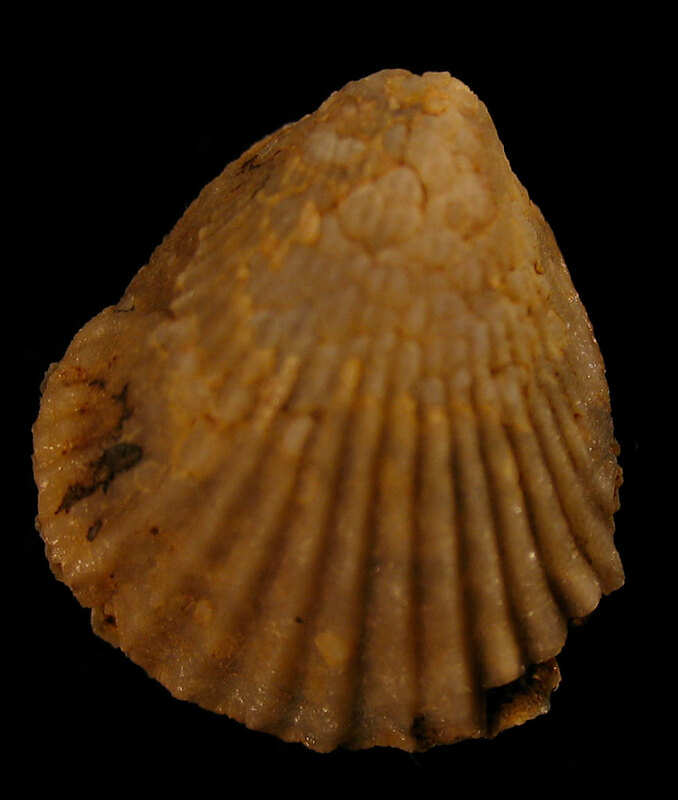 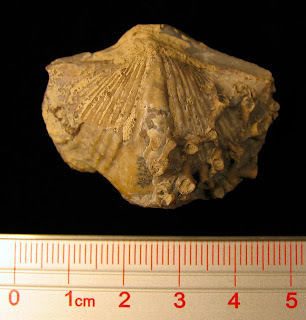 The spiny brachiopod Productella spinulicosta is rare and very hard to find with intact spines. 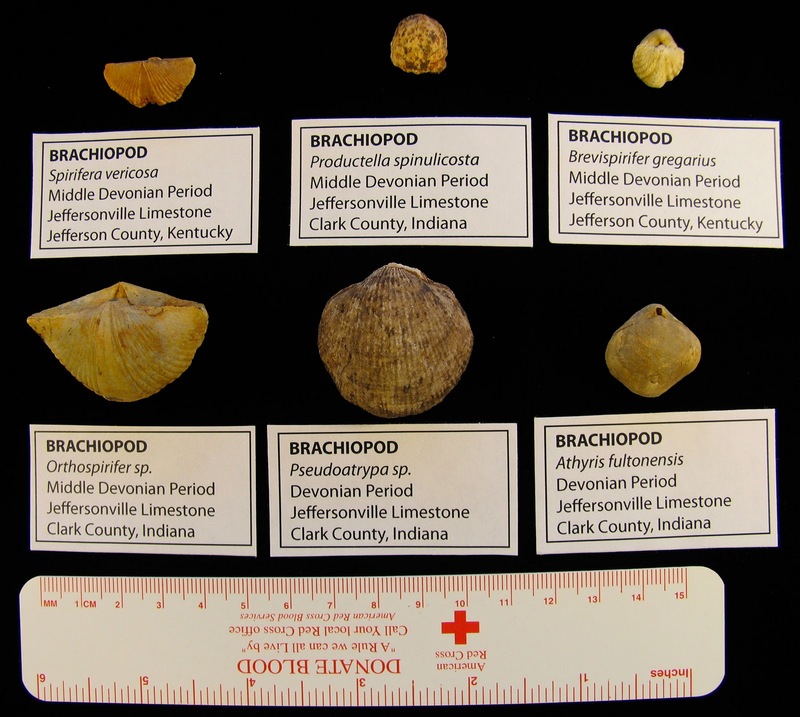 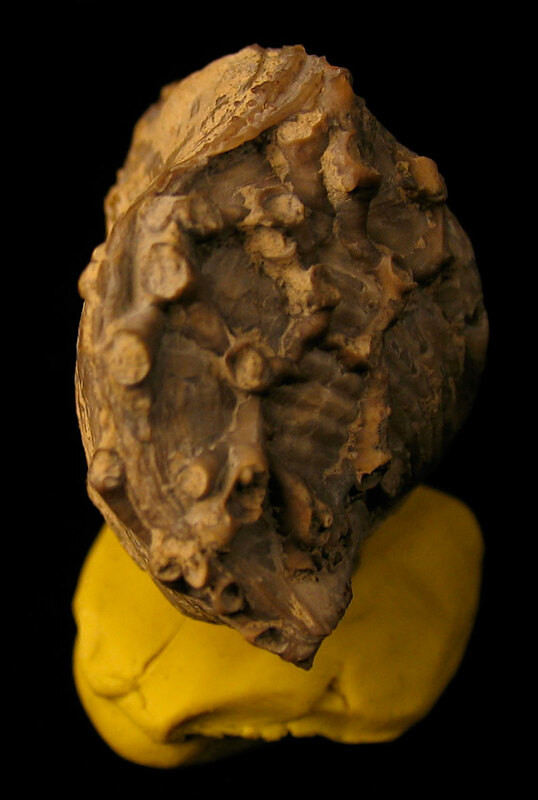 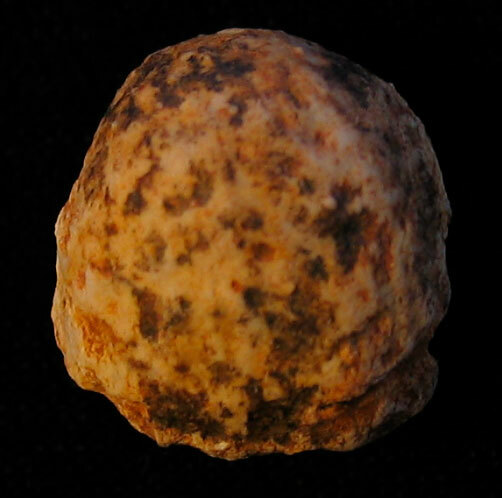 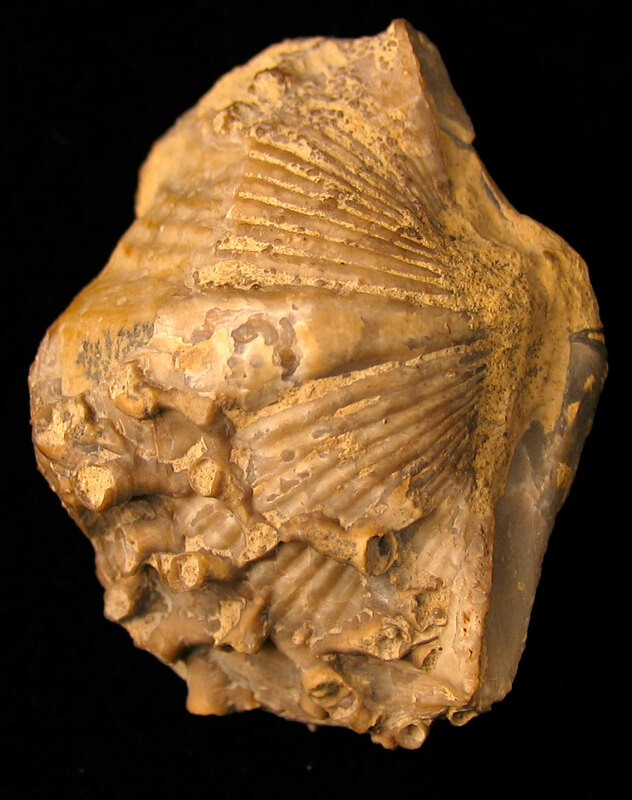 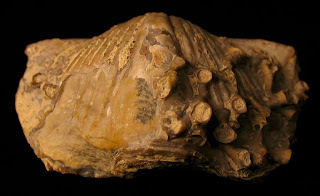 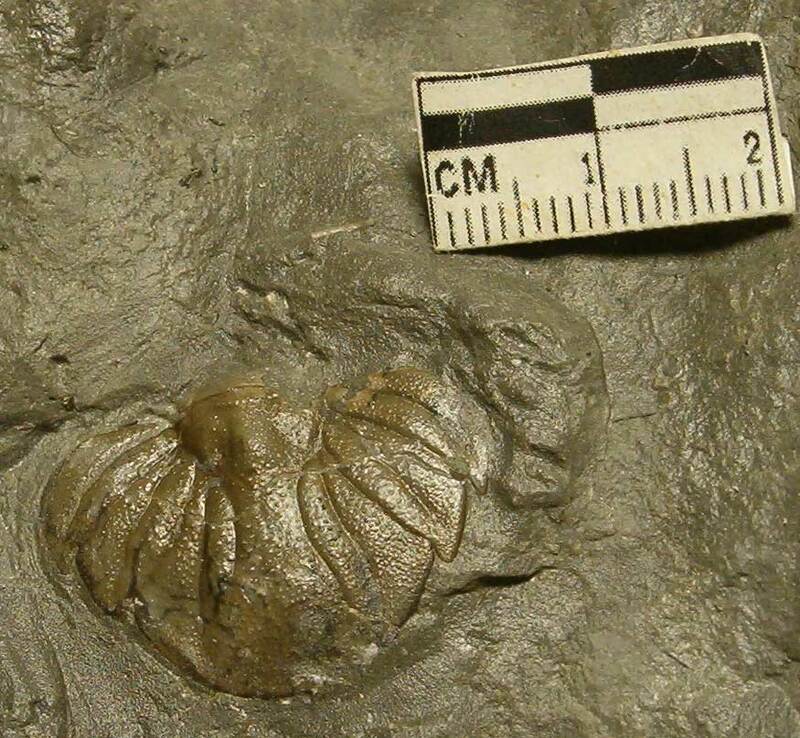 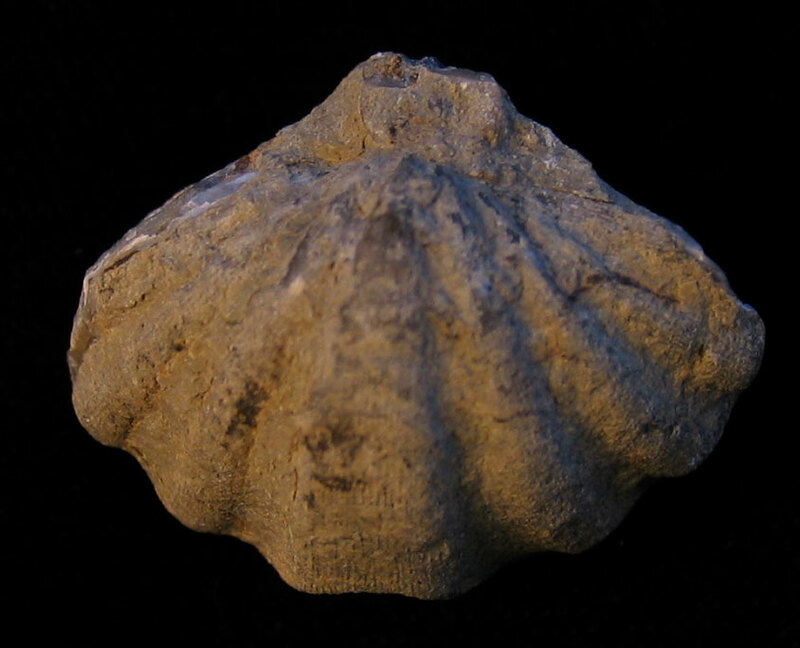 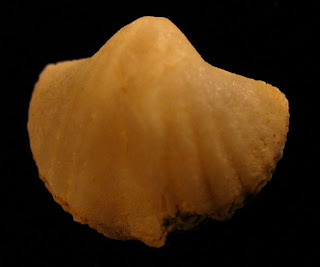 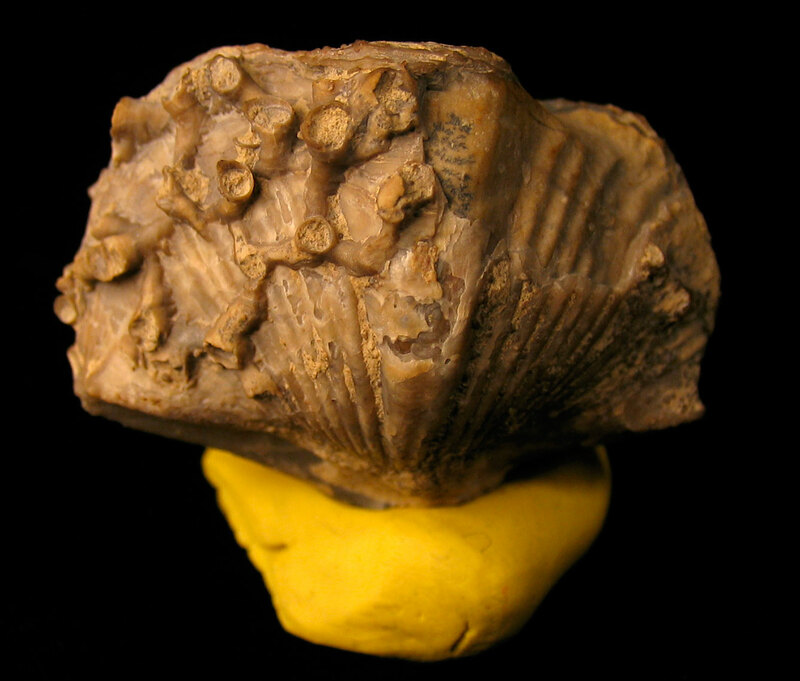 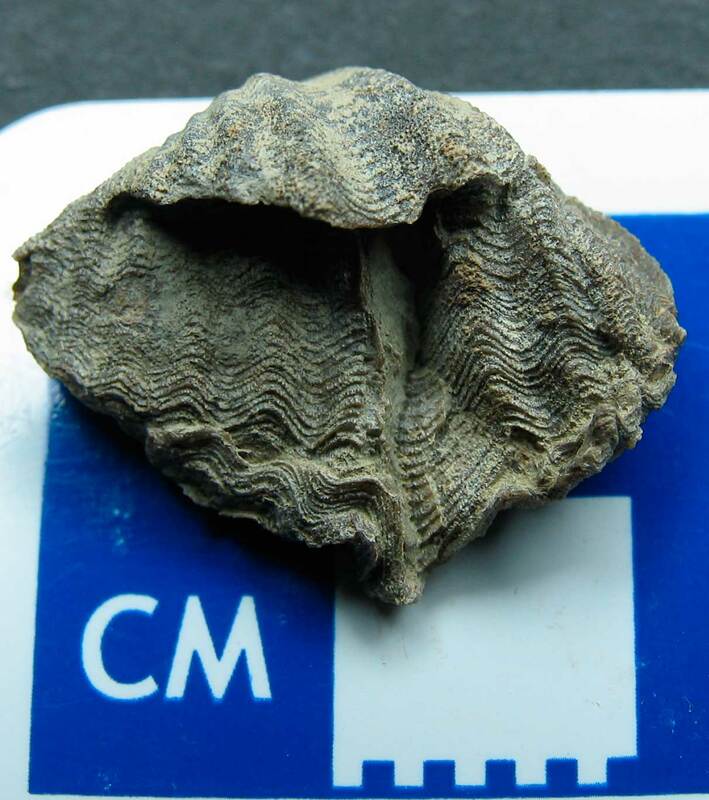 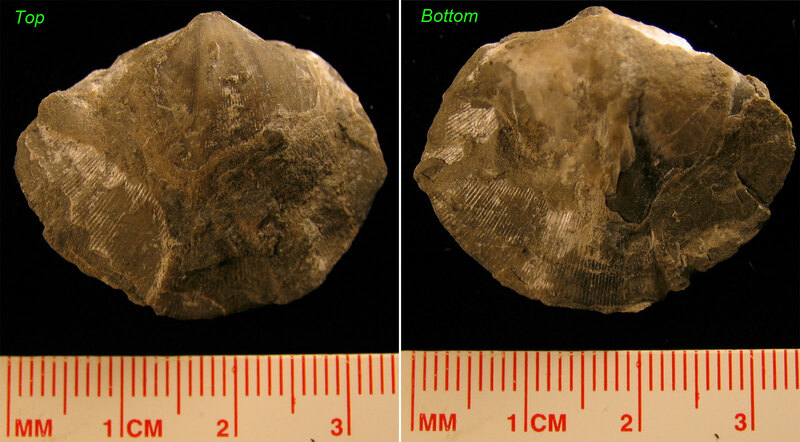 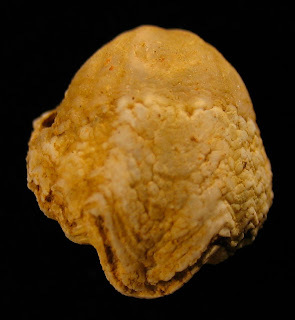 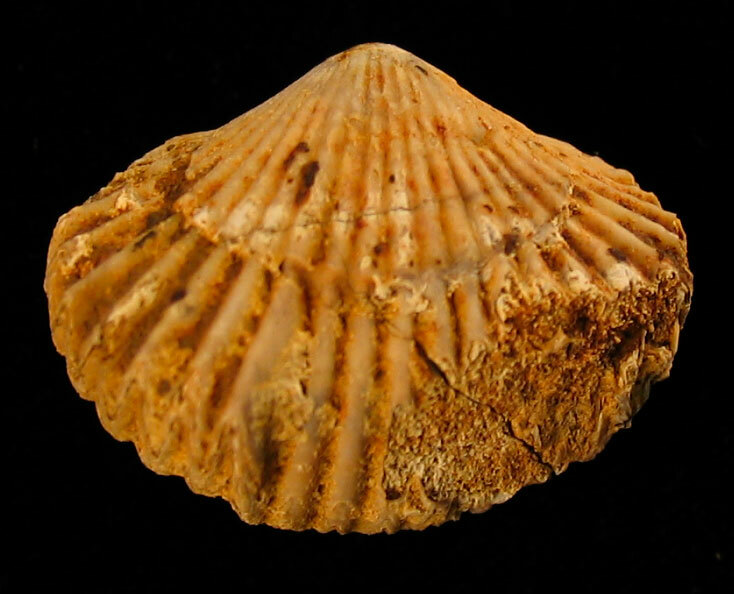 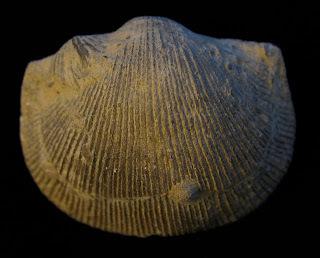 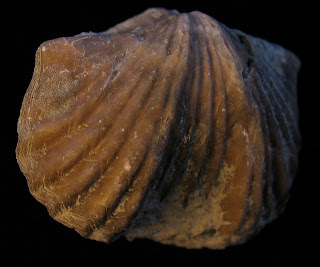 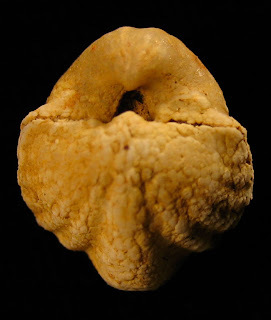 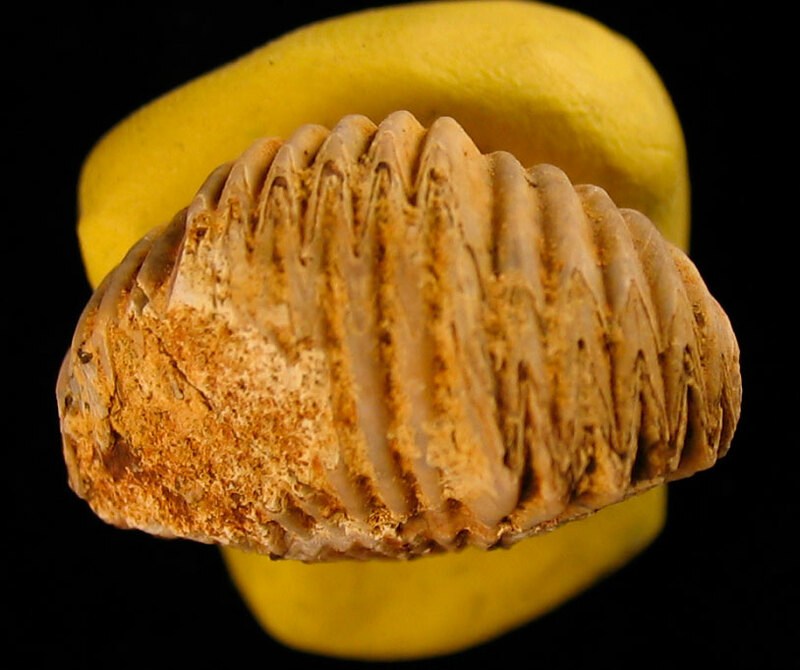 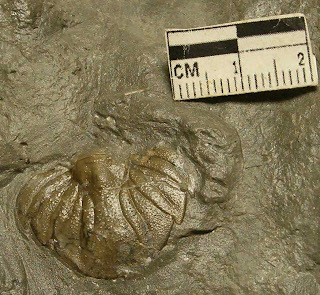 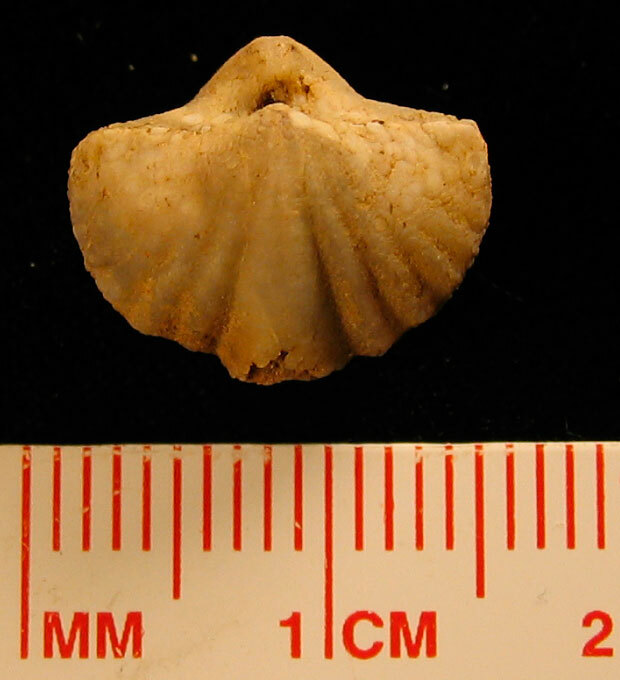 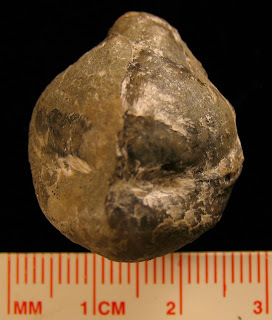 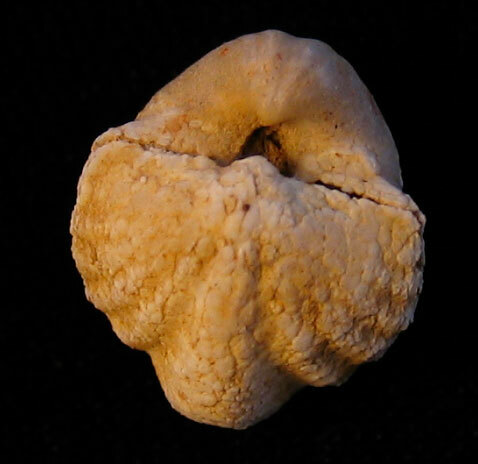 The Brevispirifer gregarius is an index fossil that identifies certain zones of the Jeffersonville Limestone. 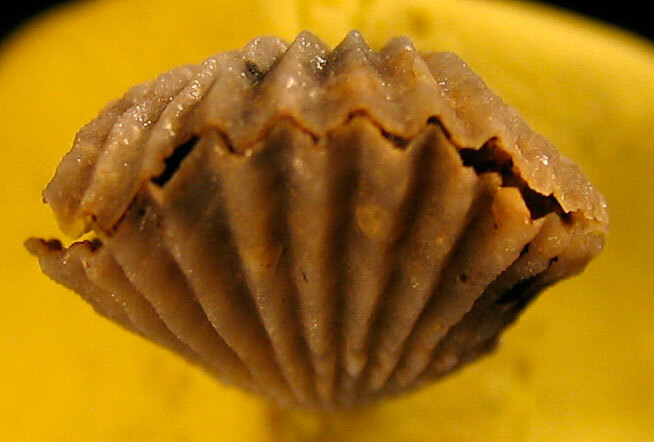 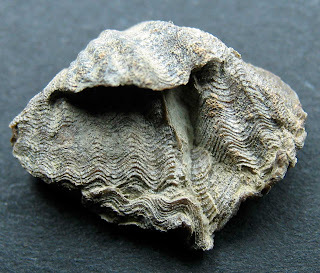 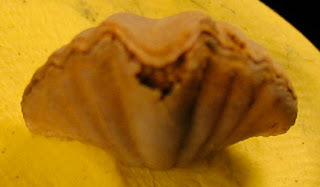 It is usually found in sheets or shell halves. 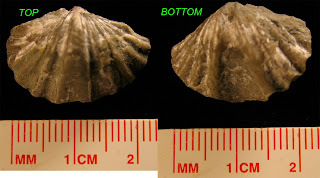 Finding an intact one eroded out is a rare treat. 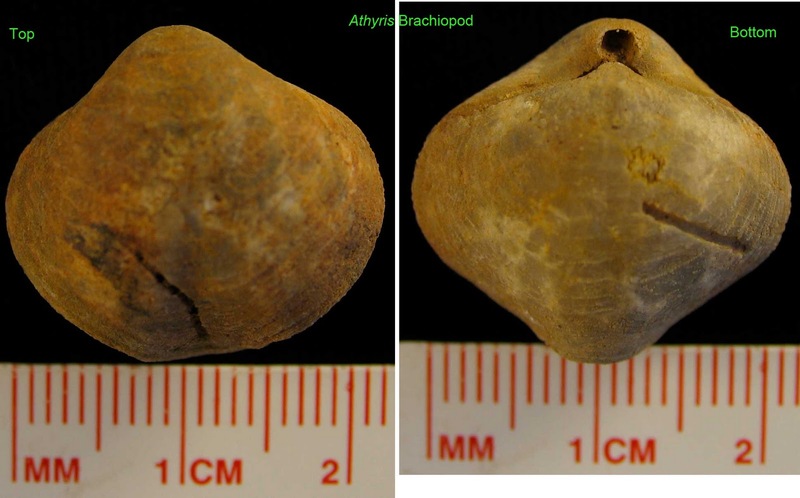 These last two images show close ups of one of these intact specimens.